Organizations find it hard to balance short term business goals and allowing employees time to explore their curiosity. Here are some practical insights and best practices to harness employee creativity. Managing curiosity has always been hard for a business - balancing between innovation and speed, between creation and return on investment. Curiosity has empirically-proven business benefits such as fewer decision-making errors and more innovation and positive changes. Curiosity also offers reduced group conflict and more open communication and better team performance. At the same time, exploring one’s creativity in an organization has its own challenges such as short-term performance goals are often given precedence. 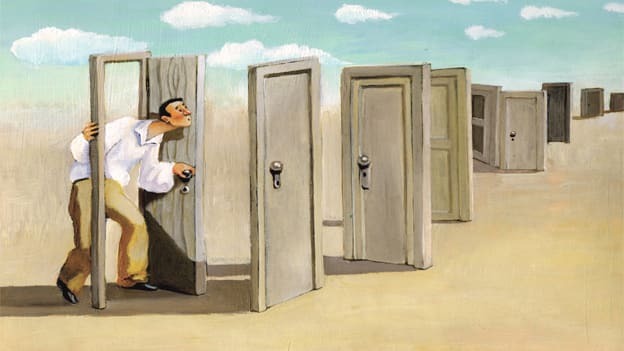 A recent research by Francesca Gino, a behavioral scientist, reveals these benefits of curiosity and the barriers to exploring creativity in an organization. In this article, we will refer to the research findings to determine how organizations can overcome these barriers and harness their employees’ creativity. Here are the five strategies to bolster creativity, as tabled by the research. Include interview questions which can assess an individual’s curiosity: Questions such as, “Have you ever found yourself unable to stop learning something you’ve never encountered before? Why? What kept you persistent?” can help in the process. A certain Google asks this question in interviews - if the candidates say that they just had to find the answer, then it is a good reflection on their curiosity levels. Ask candidates about their interests outside of work: If they enjoy reading books outside of their field and just exploring new things only to gain knowledge and out of interest, then it is a good litmus test for curiosity. For instance, if a strategy leader likes to read about data science and graphic design, it may very well mean that she is a curious individual. Administer curiosity assessments: There are research-validated curiosity assessments available in the market. They can be used to measure if people like exploring new things, read beyond their field, have a plethora of interests outside work, and get excited by learning opportunities. Listen to the questions: Interviewers can be keen to focus on candidates’ responses to questions. But it is also important to closely listen to the questions they ask. If they are interested in knowing more about the aspects of the organization which are not directly related to their roles, it is a positive reflection on their curious behaviour. A common myth about asking questions is that people are apprehensive they will be judged “incompetent, unintelligent and indecisive.” Gino’s research says the opposite. According to her research, when we ask questions and demonstrate inquisitiveness, people like us more and view us as more competent. When under pressure, the human tendency is to narrow in what immediately seems to be the best course of action. The ones passionate about continuous learning do not go with what is seemingly the best option in the moment - they “contemplate a wide range of options and perspectives,” says Gina in her research. Framing work around learning goals boosts employee motivation, according to research. Reward people for the learning needed to reach performance goals - this way, you are rewarding not only for the results, but also for learning. React positively to ideas which may not be practical in themselves but could branch to much better applicable ideas. Providing employees with the opportunity to travel to new and unfamiliar places. Giving employees the platform to broaden their network. A large network often brings forth opportunities to explore new avenues. Connect people from different teams in forums and harness their inquisitiveness by encouraging them to ask questions from their colleagues unrelated to their lines of work. 5. Have “why?” “what if” and “how might we” days. The innate curiosity of employees can be brought forth to the office floor using structured engagement activities. Some of the best innovations in this world happened because someone asked, “What if?” and Why?” “What if I could connect with all the cabs in my area looking for passengers?” Uber. “Why should we have to wait for the picture after clicking our cameras?” Polaroid camera. Organize such days within teams, units, verticals and even company-wide where employees ask such questions. They can be springboards to business innovation, bolster employee curiosity, and at the same time make them feel valued.